Tomorrow morning at 7:30 a.m. Central Standard Time comes the big announcement cinephiles have been waiting for all year: the 84th Academy Award nominations. Oscar nominee Jennifer Lawrence will present along with Academy of Motion Pictures Arts and Sciences president Tom Sherak. This year the predictions will be harder than ever with the lack of clear-cut favorites and new rules making for an uncertain number of Best Picture nominees. Last year and the year before I missed only 11 nominees (though I don’t predict every category). This year I have predicted one more category in Best Cinematography. I will also add that I think “Hugo” and “The Artist” will lead all nominees. The Locks: The number of nominees this year makes this a tricky category. You have to look at the films getting honored by the major guilds and then go with your gut. That doesn’t mean there aren’t a few definite nominees. In my mind there are 4-5 definite nominations coming. The first is for current Best Picture favorite The Artist. Its big wins of late should be an indicator that voters have rallied around this lovable film. The next two are Hugo and The Descendants. With Scorsese a frontrunner in the Best Director category and Alexander Payne also getting a Directors Guild nomination in addition to the many other categories these films will get nominated for, expect to hear them announced. 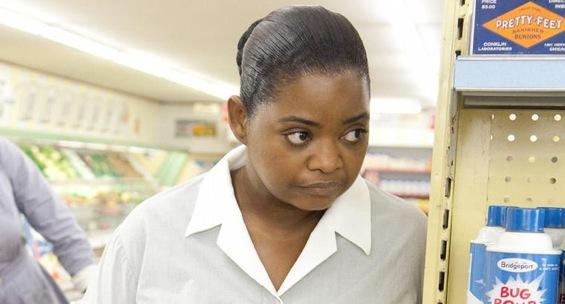 With its all-star cast and people’s choice popularity, The Help should also be considered a guarantee. The one iffy lock that still seems extremely likely to get a nomination is Midnight in Paris thanks to Best Original Screenplay frontrunner Woody Allen. Other Contenders: Despite not a lot of buzz for awards in December, The Girl with the Dragon Tattoo looks to be the late bloomer, not unlike last year’s “True Grit.” David Fincher’s DGA nomination and the film’s PGA nomination makes it seem highly likely. I also think a PGA nomination for Moneyball in addition to its pair of Screen Actors Guild nominations makes it a likely nominee.The guilds didn’t love it, but The Tree of Life has some big fans among critics and many other folks. Steven Spielberg’s name will also keep War Horse in the pack until the final second. Producers Guild favorite and people’s choice film Bridesmaids could also sneak in as Universal has no other major contenders. The Locks: Most of these are locks as my predictions go along with the Directors Guild Award nominations. 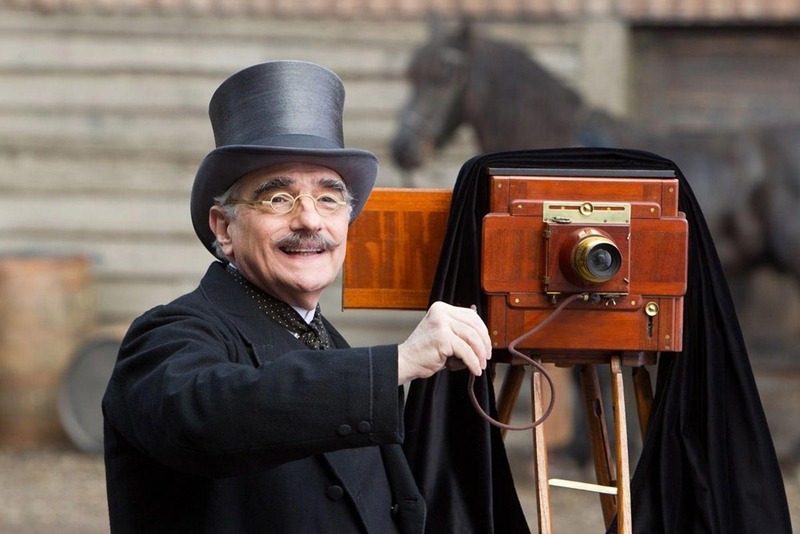 Martin Scorsese leads the pack after his Golden Globe win for “Hugo” and Woody Allen follows, though the strength of “Paris” is its writing. Michel Hazanavicius gets all the credit for “The Artist” so he must be on the list and considering the tendency of this to echo the Best Picture nominees, expect Alexander Payne to be there. Other Contenders: I’m living or dying by “The Girl with the Dragon Tattoo.” David Fincher‘s DGA nod gives me some confidence that the Academy will honor him a second consecutive year, but on his tails are two highly respected names. Terrence Malick could be here and if so, expect “Tree of Life” to have stolen “Dragon Tattoo’s” Best Picture nod. Steven Spielberg cannot be ignored either. He has enough to get nominated without a Best Picture nod for “War Horse,” but it doesn’t seem likely that would happen. Possible Spoilers: Because their films seem destined for Best Picture nods, you can’t count out “The Help” director Tate Taylor or “Moneyball” helmer Bennett Miller. 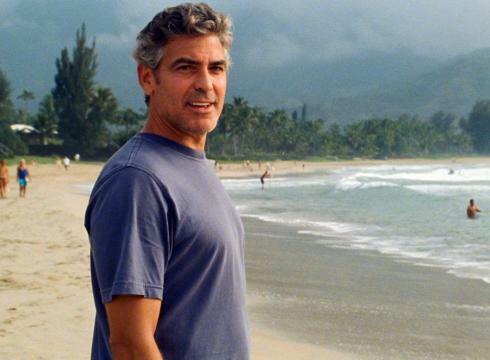 The Golden Globe nomination also means George Clooney should be taken somewhat seriously. Other Contenders: With a SAG award, I think Janet McTeer makes the final list as small films with relative unknowns delivering good performances tend to be recognized by the Academy. The battle for the fifth spot is tight. Despite being snubbed by the Screen Actors Guild, most are predicting that Shailene Woodley will get a nomination for playing the troubled teenager daughter of George Clooney’s character, though in my opinion it’s not better than any of the other strong performances in the film, including dark horse Judy Greer. With a lot of love from critics and a SAG nomination, Melissa McCarthy. Strangely enough, I’m siding with the Golden Globes who chose Woodley over McCarthy. Comedic performances usually get overlooked. 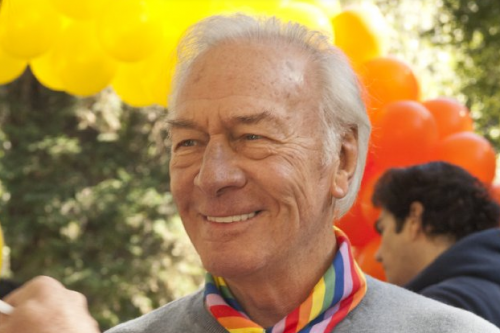 The Locks: After a Golden Globe win, a SAG nomination and the Academy’s tendency to honor vets, Christopher Plummer is a sure thing here. Despite being overlooked by the Screen Actors Guild, everyone else has loved Albert Brooks in “Drive,” so expect that too. Consummate actor Kenneth Branagh will also definitely see a nomination for playing Sir Laurence Olivier. Other Contenders: With a SAG and Golden Globe nomination, many are taking Jonah Hill seriously. I’m wary (just look at what happened to Mila Kunis last year), but I have to go with the flow. SAG nomination and veteran status gives me cause to put Nick Nolte on the list as well. A poor push from Lionsgate could be the only thing stopping him. Because I’m eerily convinced he could swipe a spot from one of those two, I’m putting Patton Oswalt on this list for his humorous but down-to-earth turn in “Young Adult.” He’s been sneaking onto a lot of radars. Possible Spoilers: If enough people saw the film, Max von Sydow could earn a nomination for his silent role in “Extremely Loud & Incredibly Close,” but the film didn’t get a lot of buzz. A SAG nomination puts Armie Hammer on this list for “J. Edgar,” but no one else has given him any love. A Golden Globe nomination earns Viggo Mortensen long-shot status for his portrayal of Sigmund Freud and love for “Hugo” could land the beloved Ben Kingsley a nomination. The Locks: The shoo-ins are deep this year: People’s Choice winner Viola Davis has a lot of fans and supporters. 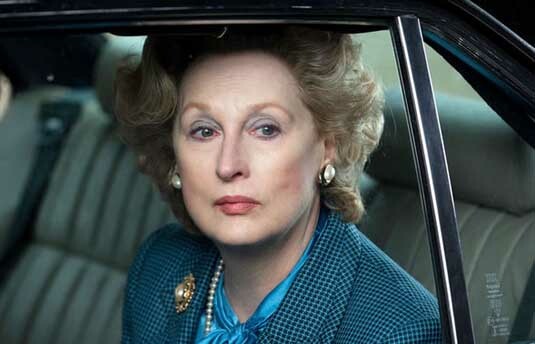 A Golden Globe win makes Meryl Streep as threatening as she’s ever been despite “The Iron Lady” lack many friends otherwise. Michelle Williams‘ flawless portrayal of an icon should easily give her a nomination and Tilda Swinton’s role in “We Need to Talk About Kevin” seems to be the great performance not enough people are talking about. Other Contenders: Hollywood veteran Glenn Close earned a SAG nomination and her iconic status next to probably none other than Streep could be enough for a nomination in an otherwise unworthy film. Charlize Theron has gotten a late push for her excellent performance in “Young Adult” (she also has Diablo Cody on her side, who has herself an Oscar). There’s also Rooney Mara, who could rise the late surge of “Dragon Tattoo” to a nomination. Considering the Academy seems to like that balance of young and old and that “Dragon Tattoo” is picking up steam, my pick is Mara. Possible Spoilers: The other young star who might shock had the pool not been so thick this year is Elizabeth Olsen in “Martha Marcy May Marlene.” Cannes winner Kirsten Dunst doesn’t seem able to ride the wave long enough, but she deserves a mention. The Locks: Considering how popular they are and that the Screen Actors Guild and Hollywood Foreign Press Association recognized them both, George Clooney and Brad Pitt look to go head to head. That doesn’t diminish Jean Dujardin‘s performance, however, and he won the other Golden Globe (Clooney won the first). Other Contenders: Many consider Michael Fassbender a lock for “Shame,” but his lack of a SAG nomination has me suspicious enough to keep him off the guaranteed list. Outside of him, however, the picture gets blurry. Leonardo DiCaprio managed a SAG and Golden Globe nom, but “J. Edgar” found little to no favor. He’s been nominated three times, but none in the last five years. Many think Gary Oldman got a last-minute push. As critics uncovered “Tinker Tailor,” word of Oldman’s performance and lack of a single Oscar nomination made headlines. It’s a great story. Along the lines of Javier Bardem’s surprise nomination last year is the potential for Demian Bichir to be nominated for “A Better Life.” Strange things have happened, and Bichir did get nominated for the SAG award. Possible Spoilers: The Academy liked Michael Shannon enough in “Revolutionary Road” to surprise folks and give him an Oscar nod a few years back, and he’s even better in “Take Shelter.” Woody Harrelson has been given much praise for his role in “Rampart,” but no accolades to this point. Ryan Gosling‘s strong year puts him in contention for “The Ides of March” or “Drive,” though the split between the two will likely cost him any shot. The Locks: With most of the Best Picture nominees coming from adaptations, you’ll see some different movies getting love. The Artist and Midnight in Paris are definite nominees from the Best Picture race. Other Contenders: Thanks to the Writers Guild Award nominations, we have some other films likely to make the cut. 50/50, one of my favorites of the year, will most likely get some love here for Will Reiser, who wrote it semi-autobiographical. In a similar darkly comic vein, Young Adult (in my opinion) should make it here seeing as Diablo Cody has won an Oscar and most think this script is better than “Juno.” The comedies don’t end there: if nothing else, Bridesmaids should earn a nomination here. If the Best Picture list were guaranteed to be 10 films, “Bridesmaids” would be on it. Win Win could well see a nomination seeing as it received a WGA nomination. Considering A Separation has been one of the most acclaimed foreign films to come out in a long time, that could show up too. Possible Spoilers: J.C. Chandor received a lot of praise for Margin Call despite the film’s small profile. Same can be said for Jeff Nichols’ Take Shelter. Terrence Malick should also be a consideration for The Tree of Life. The Locks: Taking a look at the Best Picture nominees I’ve predicted, you have to account for them. Last year’s winner Aaron Sorkin should get another nod with his work on Moneyball with Steve Zaillian, who might be up for another nomination. Considering the real strength of The Descendants is writing, that should be inked in as well. Other Contenders: Although stunning from a visual perspective, John Logan deserves credit for Hugo. As mentioned before Steve Zaillian is looking at a pair of nominations, the second for The Girl with The Dragon Tattoo. Considering it has to get nominated somewhere Tate Taylor deserves a nomination for The Help. The late surge could see Tinker Tailor Soldier Spy with a nomination, aided no doubt by the nomination being 50 percent posthumous as writer Bridget O’Connor passed away in Sept. 2010. Possible Spoilers: Golden Globe-nominated The Ides of March should be taken seriously and might be more of a contender than a spoiler. If War Horse gets in the mix for Best Picture, a nomination seems possible, though it can survive on Spielberg alone. Although Drive remains (sadly) the longest of longshots, Hossein Amini has a chance. 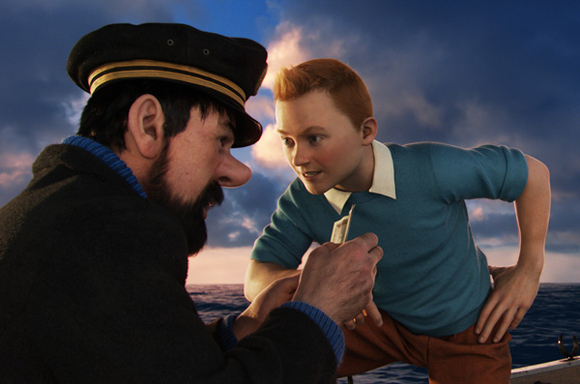 The Locks: Rango seems to be the favorite as it basically swept critics awards, then The Adventures of Tintin made a splash at the Golden Globes, the though Globe have an international reputation. Puss in Boots was also among the more critically praised of the year. Other Contenders: Sony and Aardman’s Arthur Christmas could get overlooked, but it was one of the better reviewed animated films of the year. People expect Cars 2 to be slighted, but it is Pixar and the visual achievements alone are worth nominating. At the same time, Kung Fu Panda 2 could carve out a spot as well as Rio.